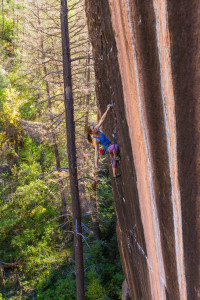 Paige Claassen, a 2008 Boettcher Scholar and University of Colorado Boulder graduate, transformed her passion for rock climbing into a profession, an opportunity to support local communities and a way to give back to a Colorado nonprofit. 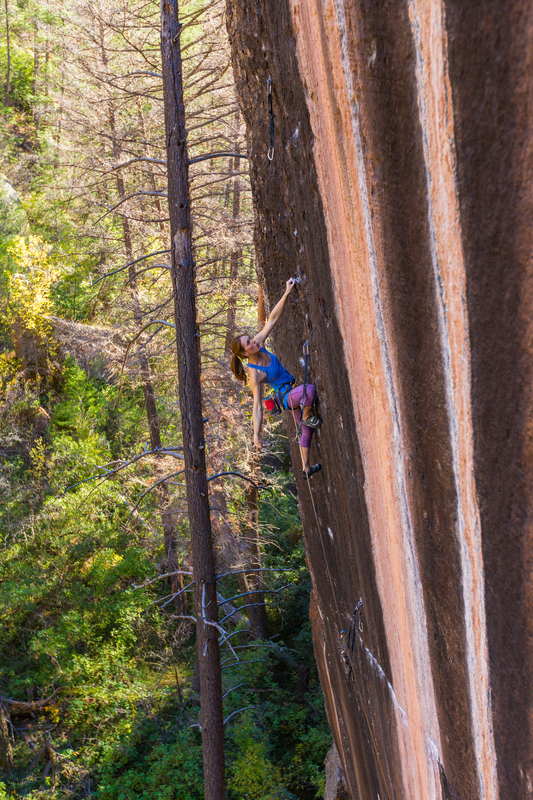 As an athlete sponsored by outdoor brands like Marmot and The North Face, Paige realized she could use professional climbing as a way to serve international communities. She pitched a world climbing tour called “Lead Now” to Marmot. As part of the tour, Paige traveled for nine months to countries like South Africa, Russia, India, Ecuador and Chile, generating attention for local nonprofits that support women and children in each of the countries she climbed. Paige Claassen scaling a mountain. Though she is frequently traveling, Paige’s love for the State of Colorado keeps her coming back in between trips. She uses it as a home-base, a way to visit family and even a place to do laundry. Most recently, she returned to Colorado to serve on the board of Volunteers for Outdoor Colorado, a local nonprofit and Boettcher Foundation grant recipient, whose mission is to motivate and enable people to become active stewards of Colorado’s natural resources. In light of their recent rebranding process and shifting focus to the younger residents of Colorado, Volunteers for Outdoor Colorado was looking for a millennial voice on their board, as well as someone who shared their passion for protecting the state. They turned to Boettcher Foundation as a resource for finding the right candidate. Immediately, the foundation thought Paige Claassen seemed like an ideal choice. “When Boettcher originally asked, I was interested in joining the board because I thought, ‘this is me. This is what I do every day—I play outside in Colorado,’” Paige said. Paige is able to provide a millennial perspective, as well as utilize her background in marketing and her experience as a climber to play an important role in shaping Volunteers for Outdoor Colorado’s vision. “Colorado is one of the coolest places in the world—that’s why everyone wants to live here—but that’s also why we need to take care of it and protect it,” she said. During her term on the board, Paige hopes to work on outreach to Colorado high schools and to create some leadership opportunities for students to get involved with the nonprofit, and to begin giving back to the community.